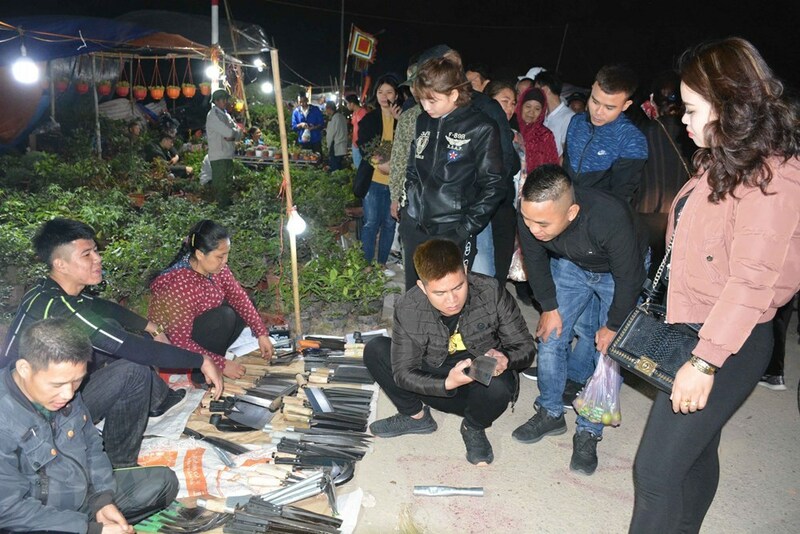 From the afternoon of the 7th day of the first lunar month, which falls on February 11 this year, people flock to the northern province of Nam Dinh for a unique market which is held only once a year to sell - guess what - bad luck as well as to buy good luck for the year to come. 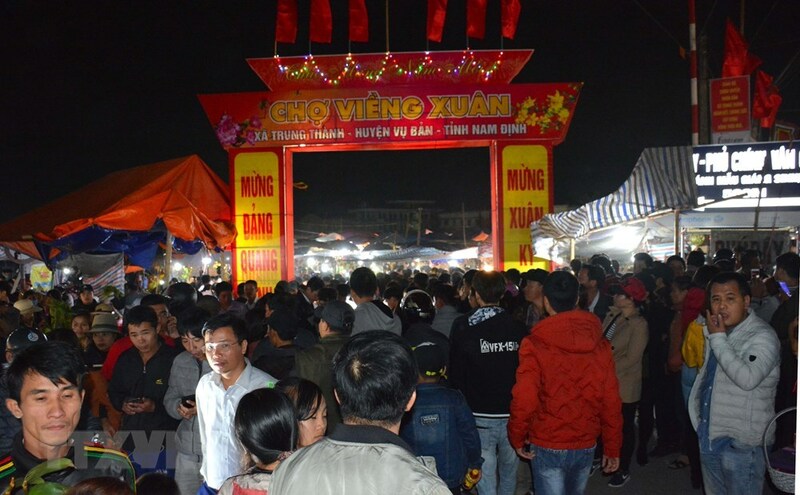 The Vieng market opened at midnight of the 7th day and lasted only through the morning of the 8th day of the first lunar month. According to popular belief, anything bought at the market would bring good luck to the buyer in the whole year. 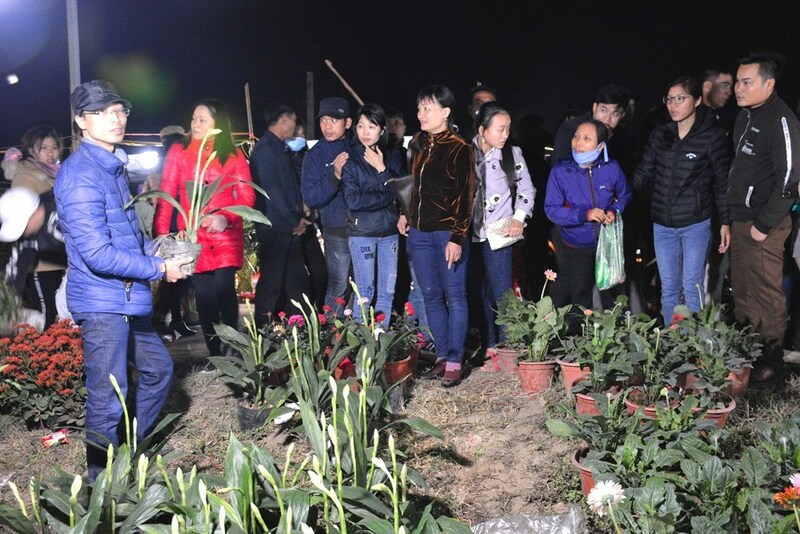 The spring market displays handicraft products, genuine antiquities along with their fake, home utensils, tools for agricultural production, and many kinds of ornamental plants. Specialties are grilled veal and "banh day" (sticky rice cake). The cheapest things at the Vieng market are flowers and tree sapplings, which bring both the buyer and seller happiness and luck. Visitors then can go on to pray for a happy new year at several local temples. 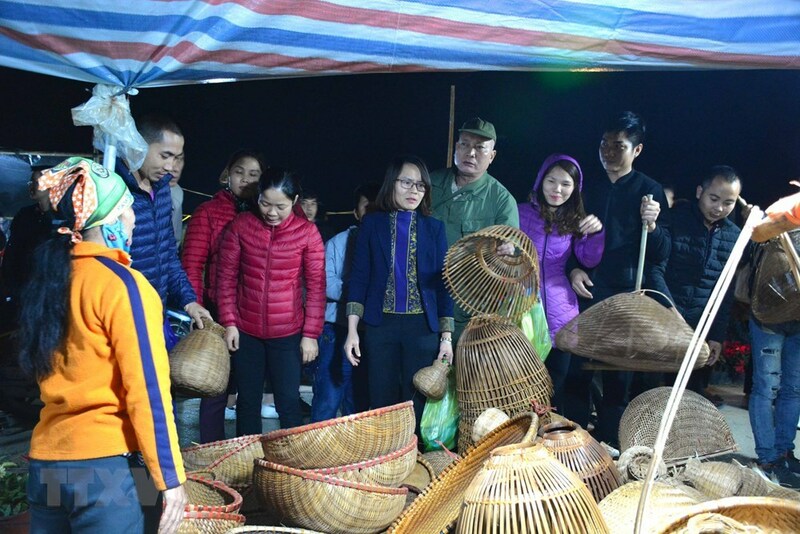 There are four Vieng markets in Nam Dinh province, with one in Nam Giang township, Nam Truc district, and the other in Trung Thanh commune, Vu Ban district, being the most popular. 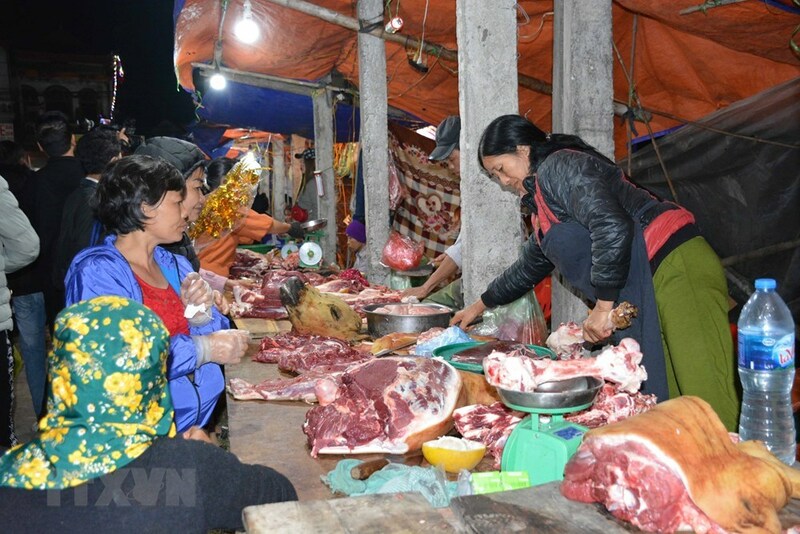 The market in Nam Truc district is famous for the Dai Bi pagoda where Buddhist Monk and Zen Master Tu Dao Hanh is worshipped, while the other in Vu Ban district is home to the Phu Day relics complex dedicated to Goddess Lieu Hanh – one of four immortals in Vietnamese legends. The Phu Day historical and cultural relics complex was recognised as the national cultural heritage in 1975. “Practices Related to the Viet Beliefs in the Mother Goddesses in Three Realms" was named an Intangible Cultural Heritage of Humanity by the UNESCO in April, 2017.